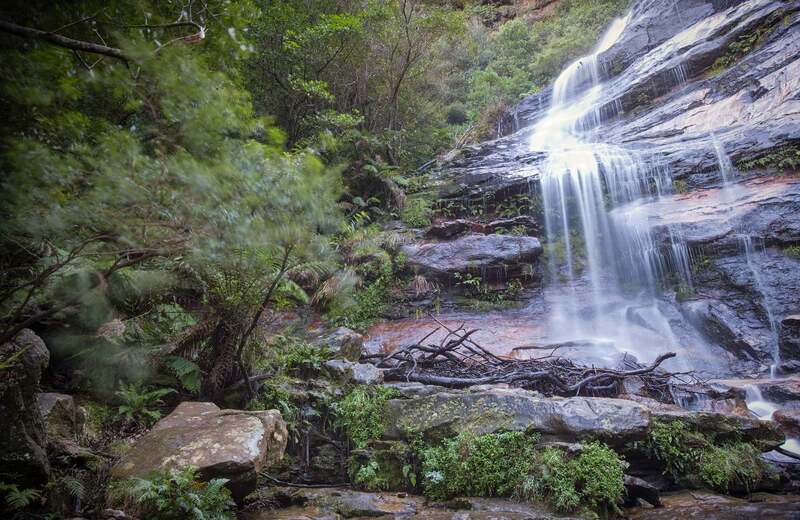 Leura Cascades Fern Bower circuit is a moderately challenging track in Blue Mountains National Park, with an impressive cliff line, spectacular waterfalls and gorgeous scenic views of the Jamison Valley. 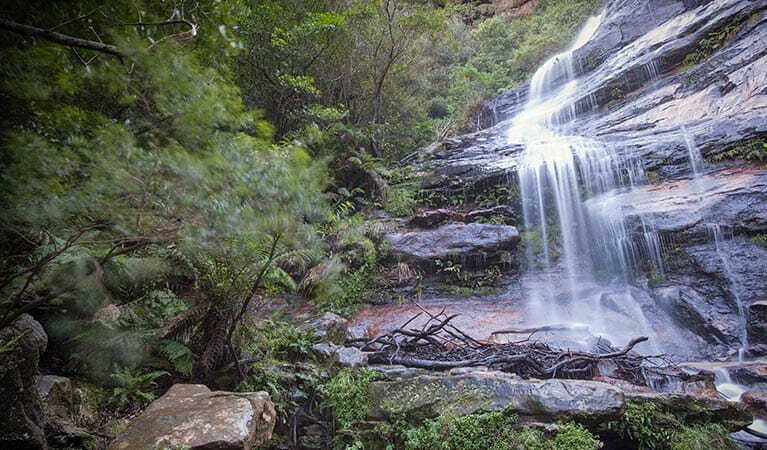 From the Leura Cascades picnic area, go through the stone arch and descend the stairs alongside the Leura Falls Creek. Cross Prince Henry Cliff Walk at the foot bridge, then turn right downstream. 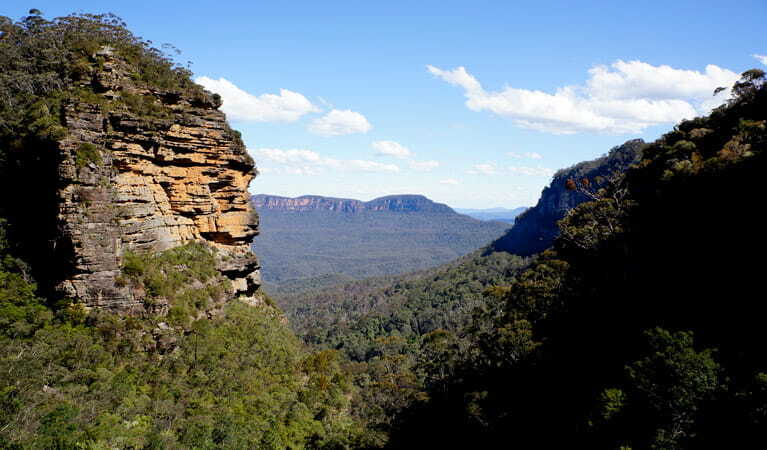 There are several vantage points to view the cascades before reaching the lookout, with its views over the magnificent Jamison Valley at the top of the Bridal Veil Falls. Ascend the steps along the western cliff line on the Round Track, turning left after about 100m onto the Amphitheatre Track. The track descends steeply here into the rainforest. Listen for the call of the catbird or wompa pigeon and remember to take your binoculars if you want to bird watch. 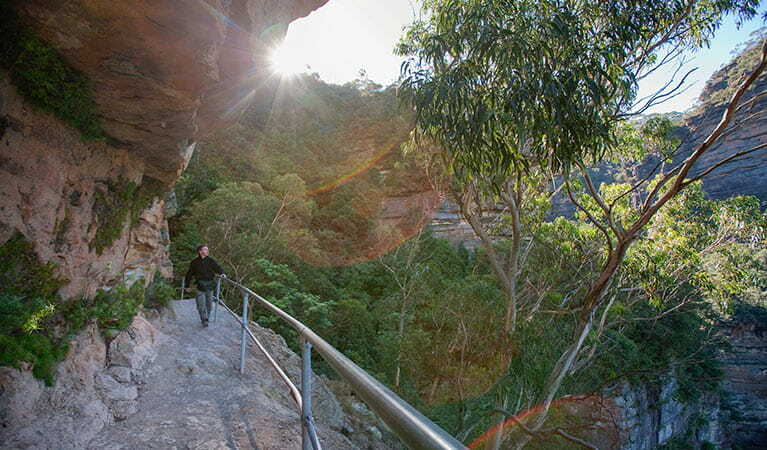 Follow the track downstream for 100m, then ascend some steep stairs before traversing the half-way ledge to a natural amphitheatre. 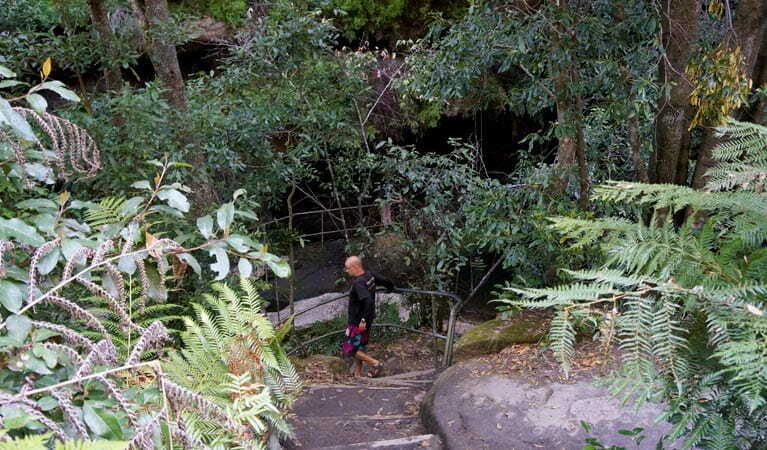 The track follows this ledge, intersecting with Fern Bower track, where walkers can ascend the steps back to Prince Henry Cliff Walk. From here, turn right and follow the walk back to the bridge you first crossed. The last section has many side trails to lookouts, majestic rock formations and overhangs. From the bridge, visitors can retrace their original route back to the picnic area.